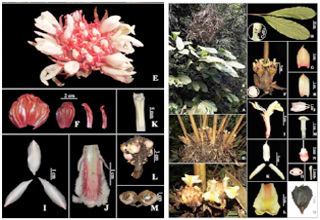 ITANAGAR, Mar 14: Two new ginger species were discovered in the Mishmi hills in eastern Arunachal Pradesh by two researchers from the University of Calicut, Dr Mamiyil Sabu and V S Hareesh. The ginger species discovered in Anjaw district was named “Amomum nimkeyense” (Zingiberaceae) as a tribute to the Mishmi culture. Nimkey is a revered spiritual place for the Taraon and Kaman Mishmis of Lohit and Anjaw districts. The second species “Amomum riwatchii” (Zingiberaceae), discovered in Dibang Valley district, has been named after the Research Institute of World’s Ancient Traditions, Cultures and Heritage (RIWATCH), Roing for its contribution towards biodiversity conservation. The discovery of the new species was published in the international journal Botany Letters. “It is a result of extensive survey and vigorous research conducted by Dr Sabu and Hareesh,” the article said. Dr Sabu and Hareesh were in Arunachal during June last year on a research programme. RIWATCH Executive Director Vijay Swami said that this discovery would surely revive the interest of the botanists to take further research on identifying and documenting the rich flora diversity of Arunachal Pradesh. “Credit needs to be given to Dr Haridasan, a renowned scientist, who had served in the Forest department of Arunachal Pradesh for many decades, for guiding many dedicated researchers to Arunachal Pradesh,” said Swami. Arunachal Pradesh is home to varieties of plant species that needs to be documented scientifically, he added.